ILTA is committed to supporting the continuing professional development of its members, and has been working to create partnerships that will benefit learning technology practitioners, who may have learning technology within their job title but equally may be academics, teachers or researchers, managers or administrators with a strong interest in learning technology. We are pleased to announce our most recent collaboration with ALT. Together, we are sponsoring 10 places for applicants to the CMALT qualification over the coming months, to professionals working in Irish Higher Education. This will involve a fee waiver of £150 per participant. How can I express my interest? Submissions are now closed for the current year. 30 September: for assessment result in January. Please refer to the CMALT website for further information on the process. What do ILTA require in return? Successful applicants were asked to contribute to a shared summary report and co-author a journal submission to the Irish Journal of Technology Enhanced Learning within a 12 month period of completing the award. CMALT can be mapped to other frameworks and we are exploring opportunities to reflect on the CMALT Portfolio and certification within the Irish context. 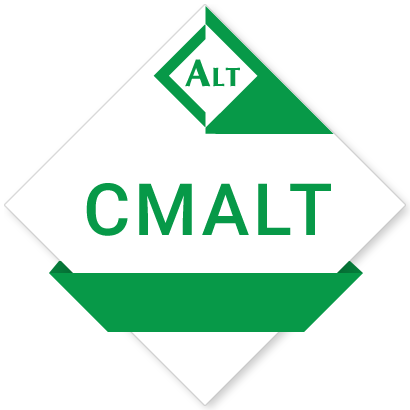 CMALT is a peer-based professional accreditation scheme developed by ALT. See their prospectus online, find out what the guidelines are, or search the list of current CMALT holders.